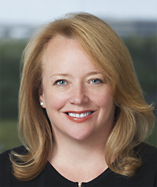 BHDA attorney Katy Lumpkin will serve as the 2019 President of CREW Austin. Katy has been a member of CREW Austin for nine years and has previously held leadership positions within the Austin network, including Secretary to the board, Program Chair, and President Elect. CREW Network’s membership of more than 11,000 professionals in 70+ major global markets represents all aspects of commercial real estate—providing its members with direct access to real estate professionals across all geographies and disciplines. Encourage members to be a force for activism and involvement in their communities.